The Pencil Pod is a fun and functional way to store your pencils, pens, and small tools. 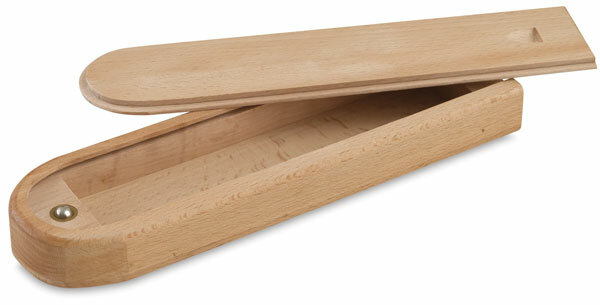 Designed to hold 12 pencils, it’s constructed of beautiful, hand-sanded hardwood, ideal for storing and protecting your drawing essentials. The Pencil Pod measures 2-3/8"W × 9"L × 1"D and has a sliding lid with a snug, ball-bearing closure.